Anyone got one? 5 or 15 watts. No, but coincidentally I was watching a demo of the 5 yesterday, a youtube chap called Doug comparing it with a silverface Champ. It sounded a bit rough but difficult to tell within the constraints of the vid. Like the Epiphone Valve Junior before it, it's probably a good platform to mod. The Celestion Super 8 speaker is a discontinued model, maybe the Chinese makers got a licence deal or something, but it has a Celestion sticker on it. The Celestion Eight 15 which came after it is better, and well worth the £25. I know nothing about modding amps but my Valve Junior is hugely improved for some of the common mods and the better speaker. I imagine the 5 would be similar. There are a few mod videos on youtube. Any way, my modding amps days are over. But I have seen a YT on changing a re4sistor(cap) out for better bottom end. I was looking for a less expensive bedroom amp, with longevity. I used to mod Valve Jrs. back in the day. I did probably 8 or 10 of them. I didn’t keep any of them. The mods made huge improvement. But the amps still weren’t keepers in my world. I kinda got over single ended EL84 amps through all that. If its longevity (and tone) you're looking for just save a little longer and buy a Yerasov. "I was looking for a less expensive bedroom amp, with longevity." If you like the sound of the Fender Champ but don't want to pay vintage Champ prices, look for a Fender Bronco. It's identical to a Champ on the inside; just wearing different clothing. It was sold as part of a set that included amp and Bronco guitar. 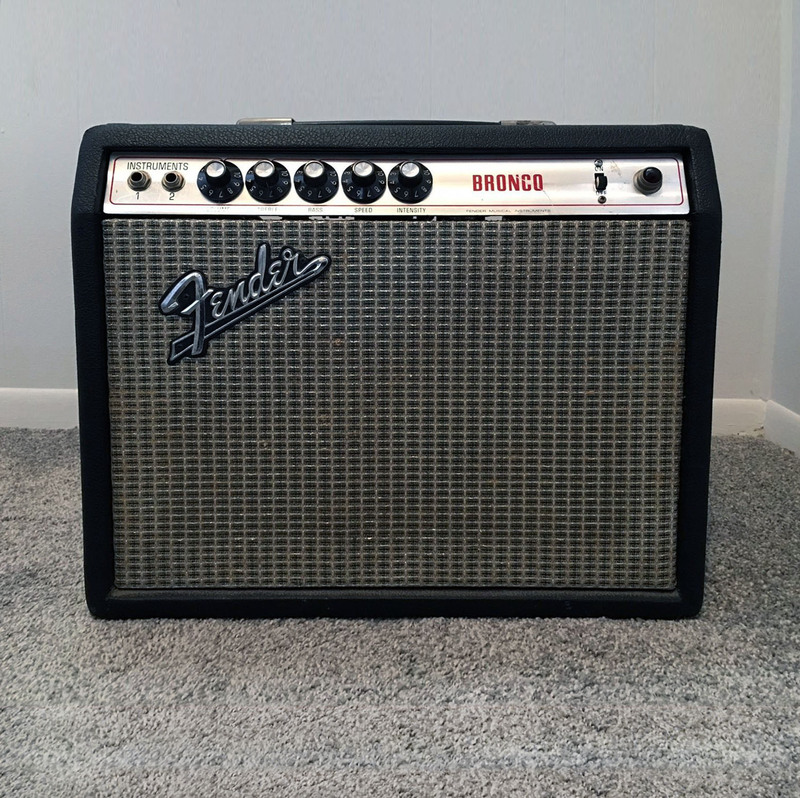 The later tweed amp with the Bronco name is not like the original earlier Tolex models. And the sound? They hang around the Vintage market don't they?